So after a fair few months of complaining and woe is me posts, it feels like we're finally making progress on this house buying malarkey! In the last week alone we've got our mortgage agreement in principle, got our house on the market and seen a few really interesting houses. In fact we're seeing a couple of houses again tonight just to double check we do love them as much as we originally thought! So I feel like the dream of moving and a new home is finally attainable and we're no longer running uphill through knee-deep mud. I think I like this new feeling. Now I know that there are still no guarantees and the rest of the journey could still be painful but at least the first few hurdles have been jumped and progress is being made. And now that I know what we can afford and that there are actual houses I like available within our budget, I can start the fun part: the imaginary decoration of the currently non-existent house. Hooray! I've been manically pinning onto our joint Ideas for the new house board on Pinterest over the last few days - as has Lau, so I thought I'd share some of my current thoughts. Although obviously these are all dependent on what we end up moving into! 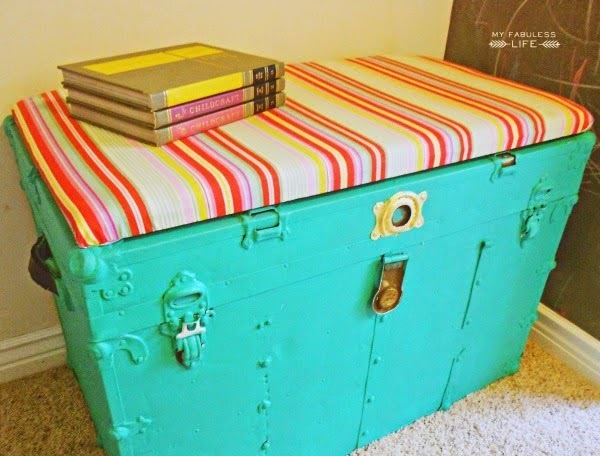 I want a trunk like this in our new living room to use as a coffee table. 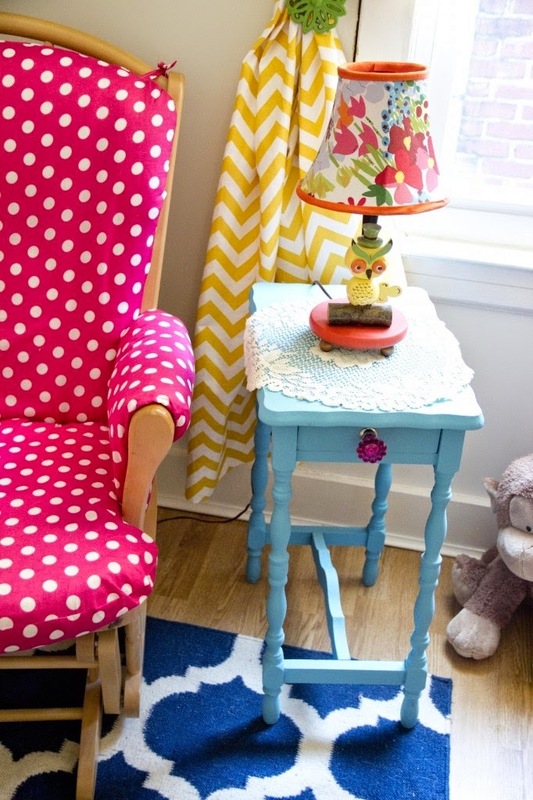 I love the idea of a simple round table and old school chairs with a splash of colour on the legs in a dining room. 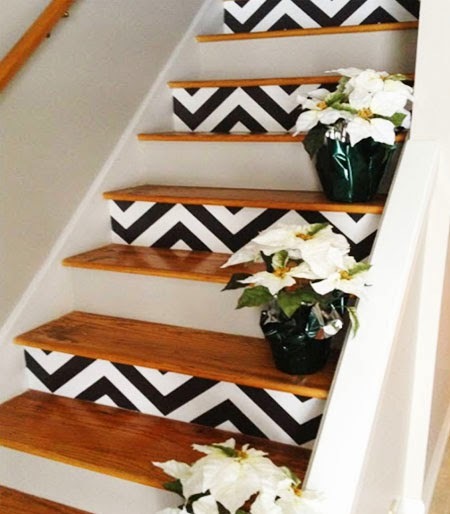 Chevron and wood stairs are simply genius and what I want to do if we have stairs for the first time in five years! This is such a perfect room - squishy sofas, loads of cushions and a beautiful trunk. I want it all. 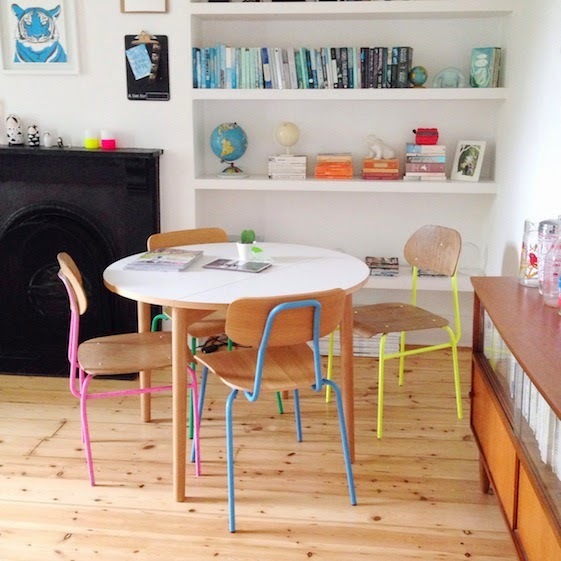 Bright colours and interesting shaped furniture is most definitely a must in our new house. If we have a spare room, which we're hoping to, it'll only be a box room, so the idea of a day bed really appeals. Just think of all the cushions we could add to it!